The deep rumble of the ferries engine broke the stillness of the night. We had been sailing for almost eight hours and there was little sign of life, just an uninterrupted expanse of open ocean. So far from human settlements, the night sky is a dark velvet black set heavy with the sequinned patterns of stars. On the horizon, the occasional twinkle of distant lights signalled the passing of a distant ship returning from the Sangihe islands. It is across these stretches of water that militant Islamists from the Philippines entered Indonesia on the way to Maluku in the early nineties. Even today, these waters remain largely ungoverned and the porous border is an open highway for smugglers and jihadis. The few coastguard boats that the country operates offer little deterrence to the organised smugglers. I knew little of this at the time. I had decided to make the trip to Sangir Besar on a whim. After a week spent on the diving island of Bunaken, I was looking for something different, a holiday away from the tourist crowds. 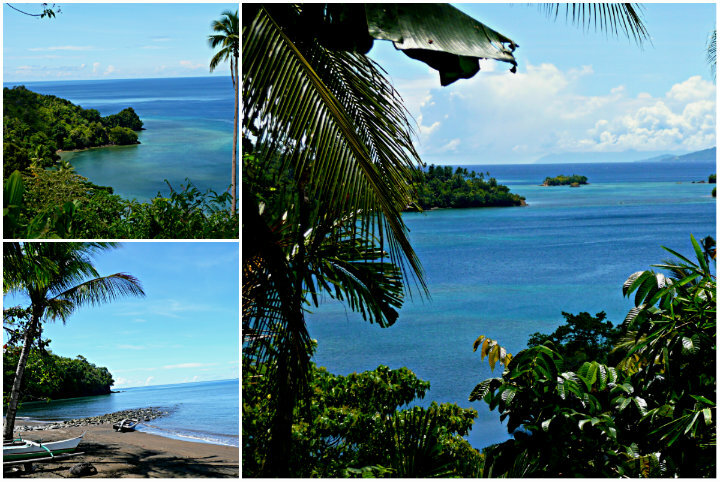 The Sangihe islands promised that, but I had little clue what else the islands had to offer. It was early morning when I first caught sight of the Sangihe islands. A deep green, the islands emerged slowly over the horizon, the volcanic peaks towered over the surrounding ocean. My anticipation was edged with worry as I wondered about where I would stay and what I would do for the next three days. I shouldn’t have worried. 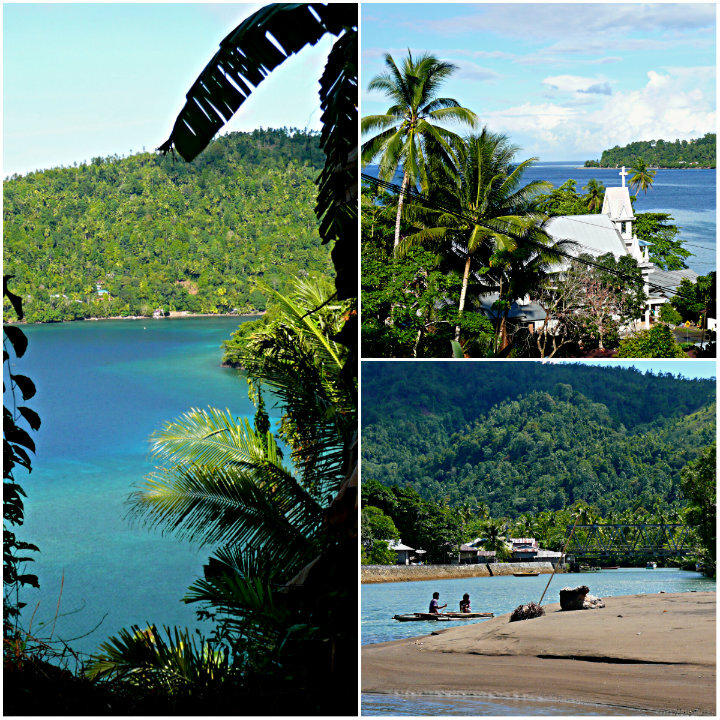 Although remote and difficult to access, the Sangihe Islands have a lot to offer tourists. The islands beaches are clean, white and empty. Coral reefs, low lying atolls and wrecks from WW2 offer plenty of opportunities for divers and snorkelling. The people are friendly and the accommodation, though simple, is cheap. One of the simplest and most enjoyable things about the islands was simply renting a bike and exploring. The single road that circles the island offers a days worth of enjoyment. The rugged hills, beaches lined with palm trees and small settlements are fascinating to explore. So far away from the normal tourist trail, the Sangihe Islands won’t appeal to everyone, but they do have something special to offer for travellers looking for something different. Puncak: More than Tea Plantations. Try Paragliding! Bogor: The Botanical Garden or a Culinary Adventure! my name Marsello, from Sangihe island. i am so glad to know about your website. hopefully you don’t mind if i’d like to Add some information about this island. This region comprises 2.263,56 km2 land area and 44.000 km2 sea area or about 95 % of its territory is waters, so this region familiar called maritime one. Tahuna harbor is located inside beautiful and protected bay with sand and mud bottom. Only exposed to westerly. Naha Airport (NAH) is a medium sized airport. It can handle only smaller aircraft such as ATR 72-500. Thanks for the additional information. Very useful. Cheers!